Greece achieved independence from the Ottoman Empire in 1829. During the second half of the 19th century and the first half of the 20th century, it gradually added neighboring islands and territories, most with Greek-speaking populations. In World War II, Greece was first invaded by Italy (1940) and subsequently occupied by Germany (1941-44); fighting endured in a protracted civil war between supporters of the king and other anti-Communists and Communist rebels. 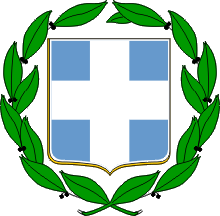 Following the latter’s defeat in 1949, Greece joined NATO in 1952. In 1967, a group of military officers seized power, establishing a military dictatorship that suspended many political liberties and forced the king to flee the country. In 1974, democratic elections and a referendum created a parliamentary republic and abolished the monarchy. In 1981, Greece joined the EC (now the EU); it became the 12th member of the European Economic and Monetary Union in 2001. In 2010, the prospect of a Greek default on its euro-denominated debt created severe strains within the EMU and raised the question of whether a member country might voluntarily leave the common currency or be removed.